As members of the National Action Network,New York City Chapter, we promote equal opportunity and self reliance for Deaf and Hard of Hearing people through Voter Registration Drives, Deaf History forums, Knowing your Rights Forums, Domestic and Police Brutality forums and accessibility to medical care. ﻿Our financial support primarily comes from family, friends and small contributions. 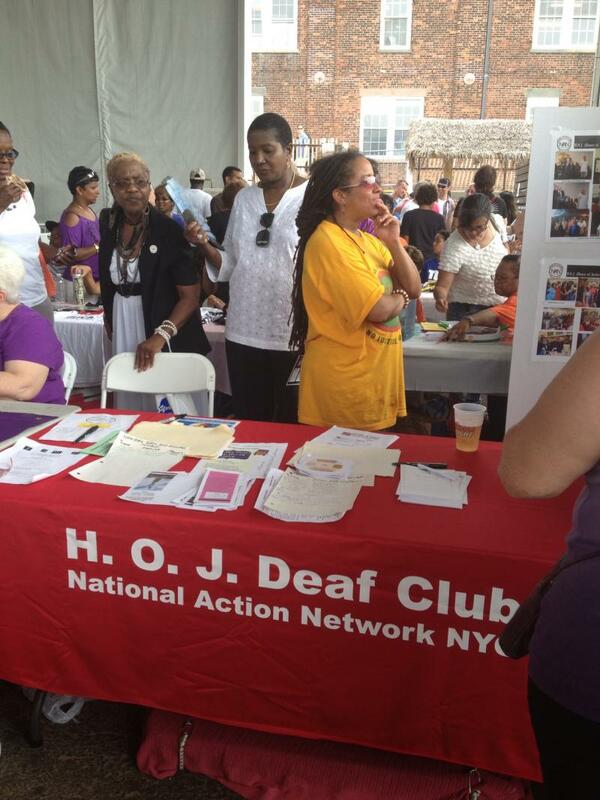 Contributions can go a long way in helping this small deaf group of civil rights advocates bring assistance to the Deaf and Hard of Hearing community as well as awareness to the hearing community. Copyright 2013 HOJ Deaf Club. All rights reserved.